Redwood based software giant Oracle has been named in a lawsuit filed by the City of Sunrise Firefighters' Pension Fund, An investor which alleges that Oracle executives lied to shareholders with explanations of growth in cloud sales which didn't pan out well after its financial reports released in March showed disappointing earnings and outlook which led to a dive in the company's stock price. The Florida based investor claims Oracle made use of coercion and threats to sell its cloud computing products which it says led to an un-maintainable business model which fell apart leading to lower sales. As per the filing, The Pension fund alleges Oracle "misrepresented the true drivers of the Company's cloud revenue growth ... In truth, Oracle drove sales of cloud products using threats and extortive tactics. The use of such tactics concealed the lack of real demand for Oracle's cloud services, making the growth unsustainable and ultimately driving away customers." It continues "The truth was revealed on March 19, 2018, when the Company disclosed that cloud revenue growth had stagnated and forecasted significantly slower sales growth for its cloud business than its competitors. Following these disclosures, analysts and market commentators connected Oracle's poor financial performance to its improper sales tactics. As a result of these disclosures, the price of the Company's stock declined significantly." Also stated in the lawsuit is that the City of Sunrise Firefighters' Pension Fund along with other investors lost money when Oracle's stock price fell following the dis-appointing cloud sales reports released in its first quarter. 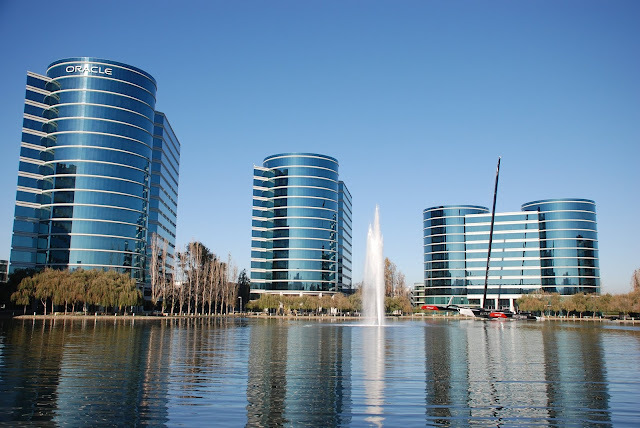 The Bay Area based world's second largest company has made efforts to boost its position in the cloud computing market dominated by Amazon and Microsoft but has not seen much expected results as Oracle's customers have not been keen to adapt its cloud computing products. Oracle has stopped disclosing specific cloud sales numbers as of recent with investors and shareholders now getting lesser statistics concerning its cloud computing sales. With cloud sales slowing, Oracle which fell 9.4% after the release of the financial results 3 months ago would have to find ways of luring customers in order to keep up with competition and metric demands.